Lock in a great price for Bucuti & Tara Boutique Beach Resort - Adult Only – rated 9.6 by recent guests! Quietness. This place appeals to those of us who are looking for a quiet and relaxing vacation. There is no loud music and no children. 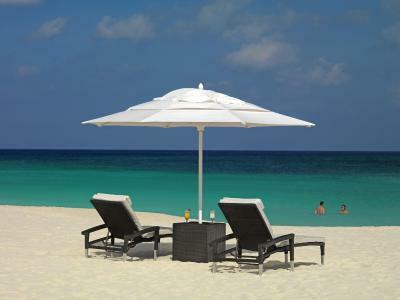 There is a beach lounge chair under an umbrella for everyone. There is no need to try to reserve your chair at the break of dawn. 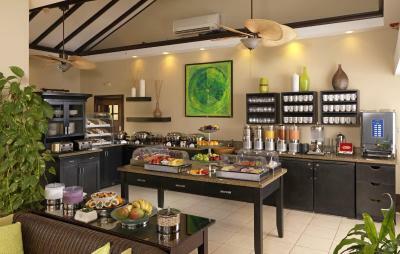 Staff was very attentive, resort was very well maintained and rules were enforced. Very relaxing not to have to deal with teens, boom boxes or excessive beach drinking. 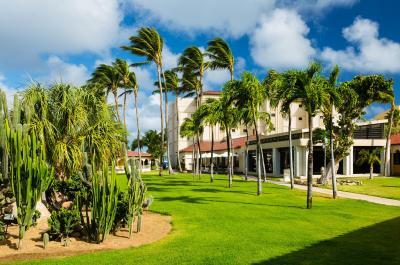 The Bucuti is a gem--we've been to Aruba six or seven times, and this was by far our favorite hotel. The staff are amazingly friendly and helpful, and the location is perfect. 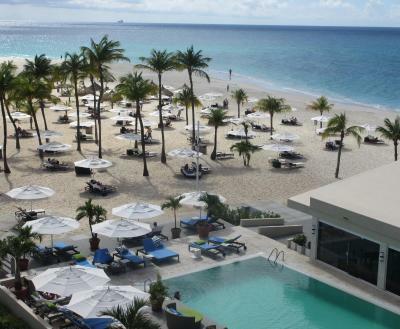 The beach is easy to get to, and the size of the hotel (106 rooms) is not overwhelming. 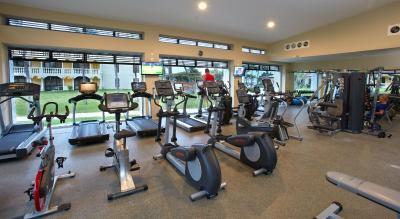 There is a gym with lots of equipment, and the breakfasts (which are included) were ample and satisfying. 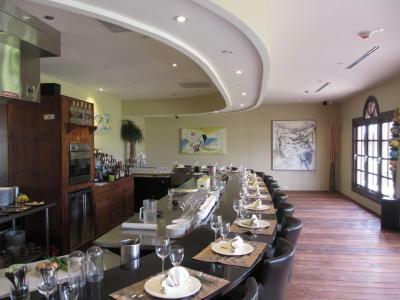 Most restaurants would require a cab ride, but there are some that are within walking distance. We plan to return next year. Everything! 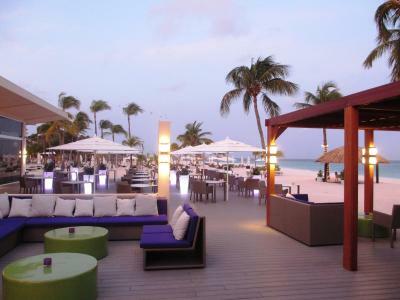 Super friendly staff, great location and wonderful beach, delicious food... simply perfect! The service was amazing, food delicious and the setting perfect for a leisure holiday getaway. Bucuti & Tara offer the best/exciting excursions, healthy food choices and the best location ever. Attentive staff. Nice beach and pool furniture. Super clean rooms. Bfast buffet. Location. Beach. No kids. Healthy happy hour. Happy hour. Appetizers. Cheeseburgers. Cool towels. Fruit sticks. We spent 9 days with my wife for our honeymoon and could not have a better time. We were welcomed by Frank (a real gem) and Kay who showed us the room and the hotel grounds. 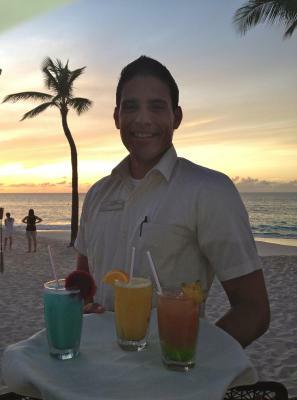 The staff were so friendly and full of humor (except for one bartender at the beach bar). 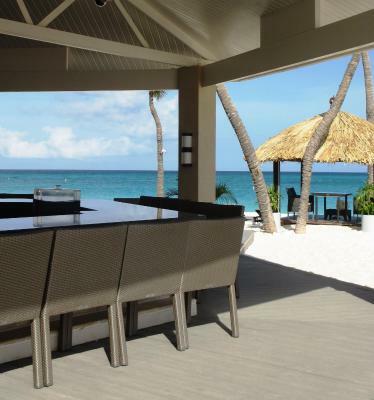 The property is right on one of the best beaches of the island. 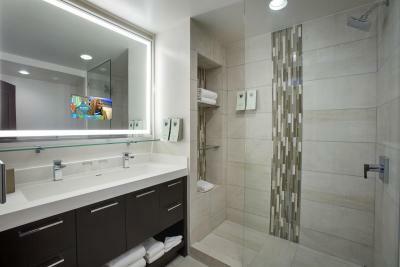 The room was immaculate and cleaned everyday by Elizabeth. I wanted to give a special thank to Yolanda and Mirna (from the Elements restaurant) who did an amazing job! As well as Juan who was always so bubbly during breakfast. If you are looking for a relax vacation with your partner and family, this is the place to be. Everything about this resort is amazing. The customer service is second to none. The entire staff, from the concierge staff to the breakfast crew, to the bar staff, security, doormen and gift shop attendants, was friendly and helpful. 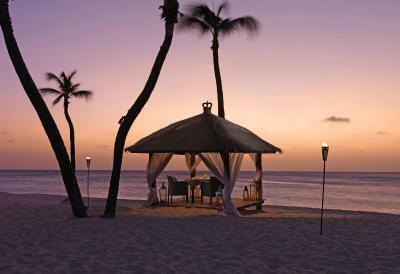 I will never stay anywhere else in Aruba. Excellent accommodations from all angles. Stayed 2 weeks for Honeymoon and going back for 1 year anniversary. Bucuti & Tara Boutique Beach Resort - Adult Only This rating is a reflection of how the property compares to the industry standard when it comes to price, facilities and services available. It's based on a self-evaluation by the property. Use this rating to help choose your stay! 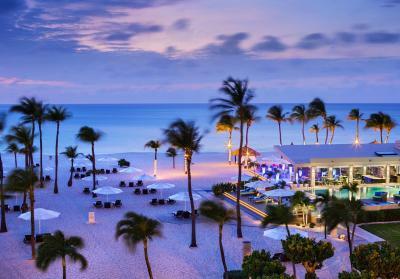 Set on the white sands of Eagle Beach, this adults-only (18+) boutique resort features an ocean-front restaurant with spectacular views and healthy dining options. Free breakfast and free WiFi are provided. The rooms and suites at Bucuti & Tara Beach Resort Aruba offer style and comfort, with cable TV, air dehumidifiers, a microwave and a fridge. 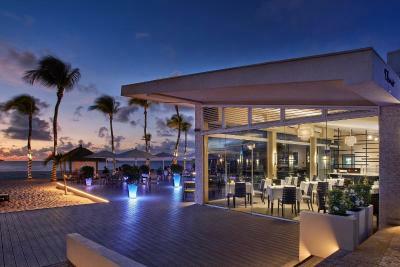 The SandBar has a happy hour every evening, twice a week there is a free Movie Night on the beach, and Carte Blanche restaurant features gourmet-style cuisine at a chef's table. 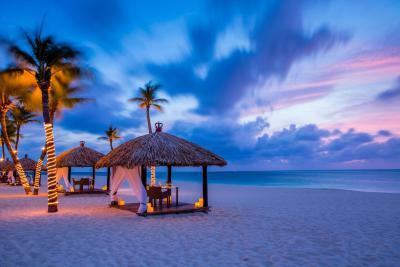 Romantic dining on the beach in a private palapa can be reserved. 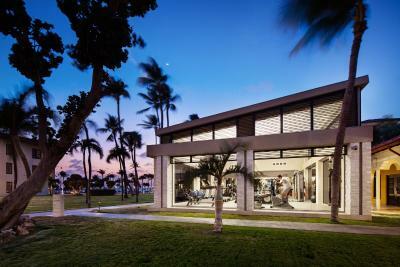 An air-conditioned fitness center has a beautiful view of the courtyard garden and nearby beach. An outdoor pool and concierge services are also available. Guests can relax with a massage or treatment in the Purun Spa. 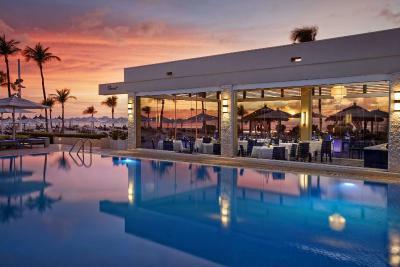 The Bucuti & Tara Beach Resort is near to the Alhambra Casino and shopping center. Reina Beatrix International Airport is 5 mi away. When would you like to stay at Bucuti & Tara Boutique Beach Resort - Adult Only? This room offers a garden view. Bed configurations to be confirmed upon check in depending on availability. It can either have one king-size bed or 2 XL Twin beds. Max occupancy: 2 guests. 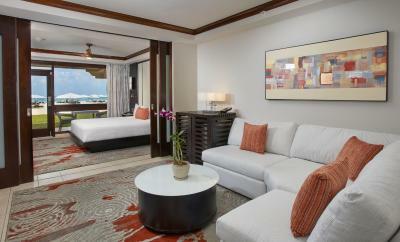 The oceanfront suite features a separate living area and a wet bar. 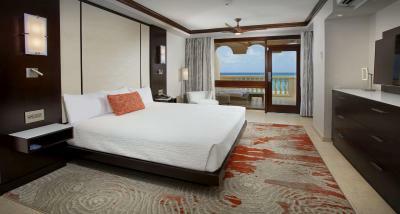 This deluxe room features a view of the ocean. This double room has a balcony or patio, microwave, mini fridge and mini-bar. Bed configurations to be confirmed upon check in depending on availability. It can either have one king-size bed or 2 XL Twin beds. Max occupancy: 2 guests. 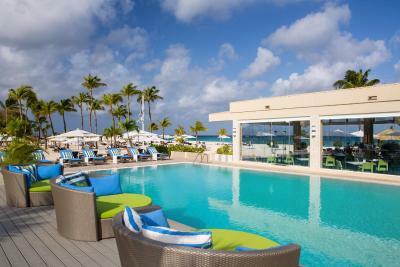 Tranquil, adults-only resort on Aruba's gorgeous Eagle Beach. 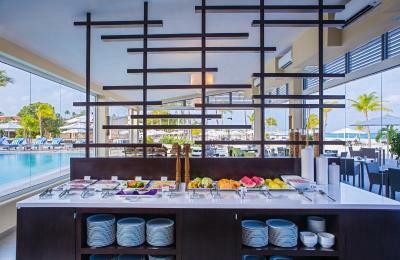 Free WiFi, free use of iPads, free Breakfast daily. House Rules Bucuti & Tara Boutique Beach Resort - Adult Only takes special requests – add in the next step! Bucuti &amp; Tara Boutique Beach Resort - Adult Only accepts these cards and reserves the right to temporarily hold an amount prior to arrival. Bucuti & Tara Boutique Beach Resort - Adult Only accepts these cards and reserves the right to temporarily hold an amount prior to arrival. Please note that this property does not accept cash as payment. Please contact hotel for more details. Please note that the property only has 3 designated smoking areas. Please inform Bucuti & Tara Boutique Beach Resort - Adult Only of your expected arrival time in advance. You can use the Special Requests box when booking, or contact the property directly using the contact details in your confirmation. It is missing a hot tub/jacuzzi. Morning beach chair situation, there was no way people were filling the first 2 rows at 7am, I suspect staff was paid to fill chairs. It rained for five minutes during our stay! Stop it! There was a local musician each evening at the bar, but too close, so too loud which made it hard to have a conversation. The rooms overlooking the car park are too expensive, ours cost £507 per night, with just breakfast included! It’s in a fantastic location on the best beach on the island. The staff are amazing, always happy, friendly and helpful. Intelligent and professional staff. 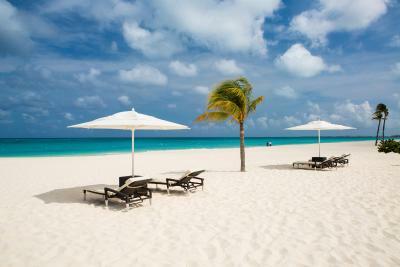 You feel a part of a very caring family, dedicated to excellence and environmental protection in Aruba. They anticipate their guests needs and strive to do their best in making one's stay as comfortable as possible. This hotel is a genuine leader in sustainable tourism. The pool depth is mostly over 6 feet except one small space at one end where you can enter. Otherwise you have to tread water or hang on the edge unless you have a float. The staff wasn't very supportive in certain situations and didn't seem to be capable to provide correct information about activities to do on the island (is not clear whether they try to give only the information they want to provide or they simply are not well informed). The atmosphere at Bucuti is very relaxing but some music or activities can be performed to give more "energy" to the context. The beach is one of the most beautiful beaches of the island, the rooms are comfortable, the pool and the beach bar are very nice and the gym is fully furnished.